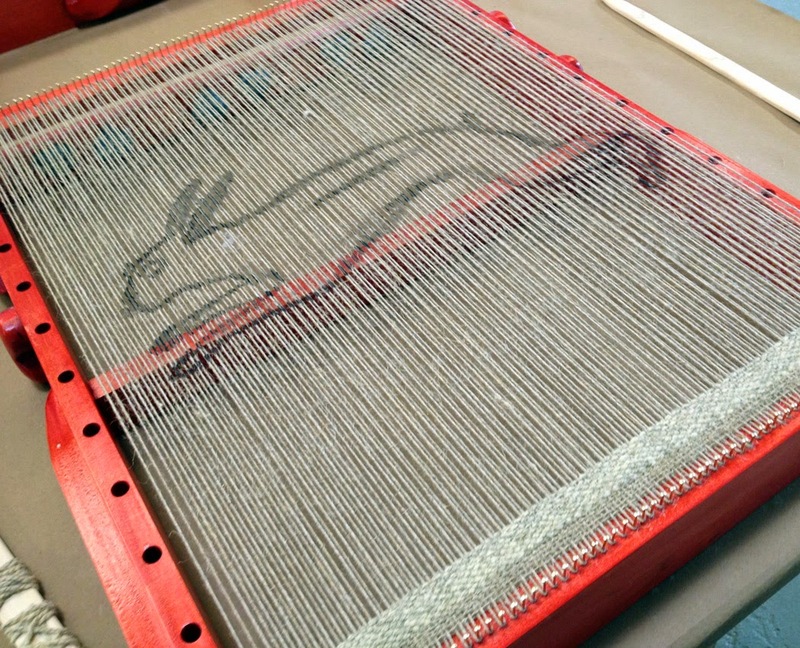 Mr. B. surprised me with a beautiful handmade tapestry loom. He stained it red, my favorite color and put hand carved hearts all about it to represent our five children and eight grand beans. The beans hearts are all across the top blue and pink in their birth order! I forgot to get a pic of the top, but I will. It has an adjustable length, which is quite handy, and can be set upright on removable feet! I promise to take more pics as the project progresses. The warp is hand spun linen/flax, an old eBay purchase. I still can't believe I scored two cones, 1100 yards for just $11. 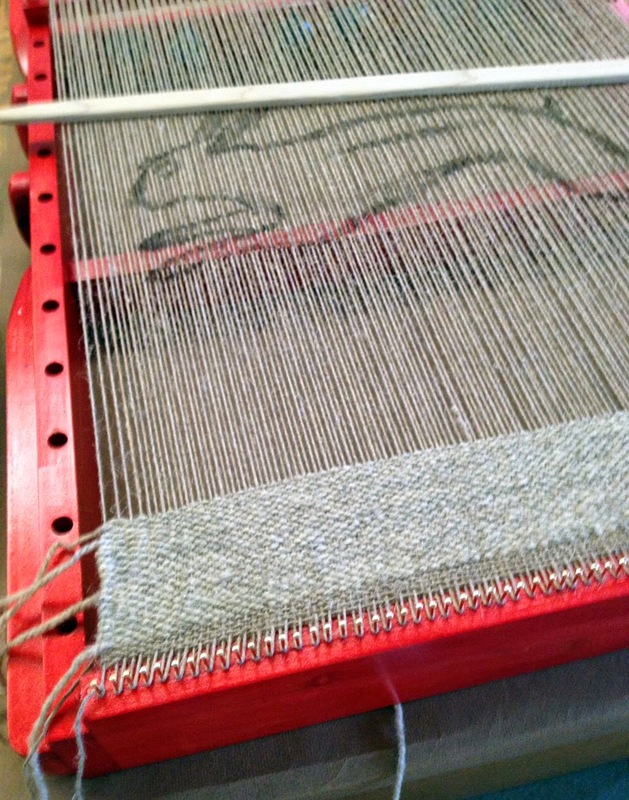 The weft is hand spun natural colored wool. This image from The Graphics Fairy is one of my favorites and I was inspired to paint the warp and give it a whirl. 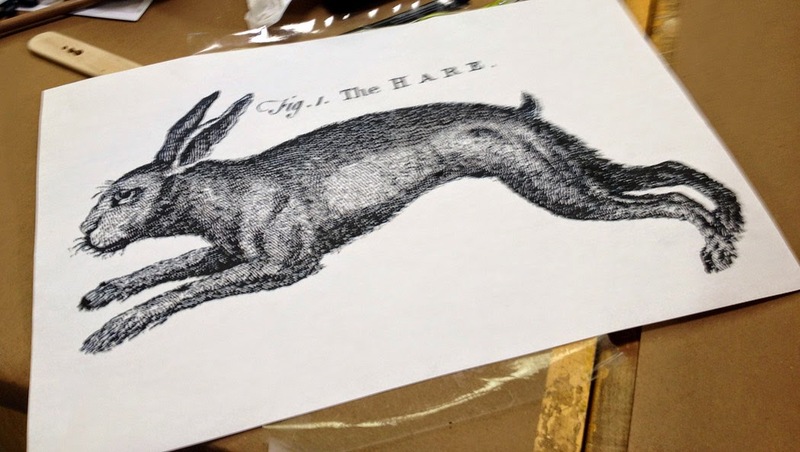 I will use multiple shades of gray on the hare. I have some wool that I love, it is charcoal, with lots of flecks in it, that I think will be perfect for the principle parts. The typography will be embroidered afterward in some configuration, yet to be decided. It is slow, meditative work, but I am making progress! 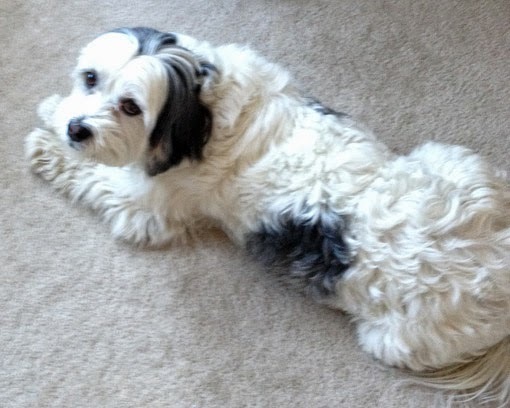 This is Max (aka Maxie poodle), he is my daughter's Shi-poo mix. We had the pleasure of watching him while she and her family were on vacation for spring break. He is the sweetest dog and we all miss him now that he is back home. Here he is keeping company in my home studio. Love your loom Roseanna! I want one! What a sweet little puppy.